*Ribbon cutting will begin promptly at 12:30 p.m.
**Open house will begin at 5 p.m. The Dunwoody Perimeter Chamber always loves the opportunity to support and recognize our Chamber members. 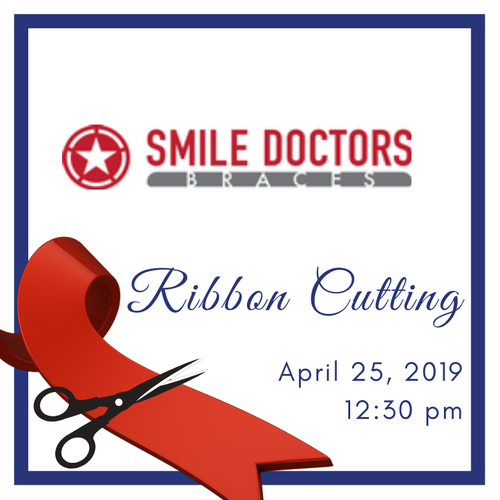 Please join us as we celebrate the grand opening & open house of Smile Doctors by Awbrey Orthodontics, on Thursday, April 25, 2019 at 12:30 p.m. The ribbon cutting will be held at their Dunwoody location at 12:30 p.m. followed later that evening by an open house from 5pm - 7pm. Hors d' oeuvres and refreshments will be served. Please register here at the link above or to Jen She - 404-291-0391 or email Jennifer.She@smiledoctors.com by April 18, 2019.